We made the center piece with hand wired with sterling silver wire, 6 & 3mm cream/ivory color Swarovski pearls & crystals. 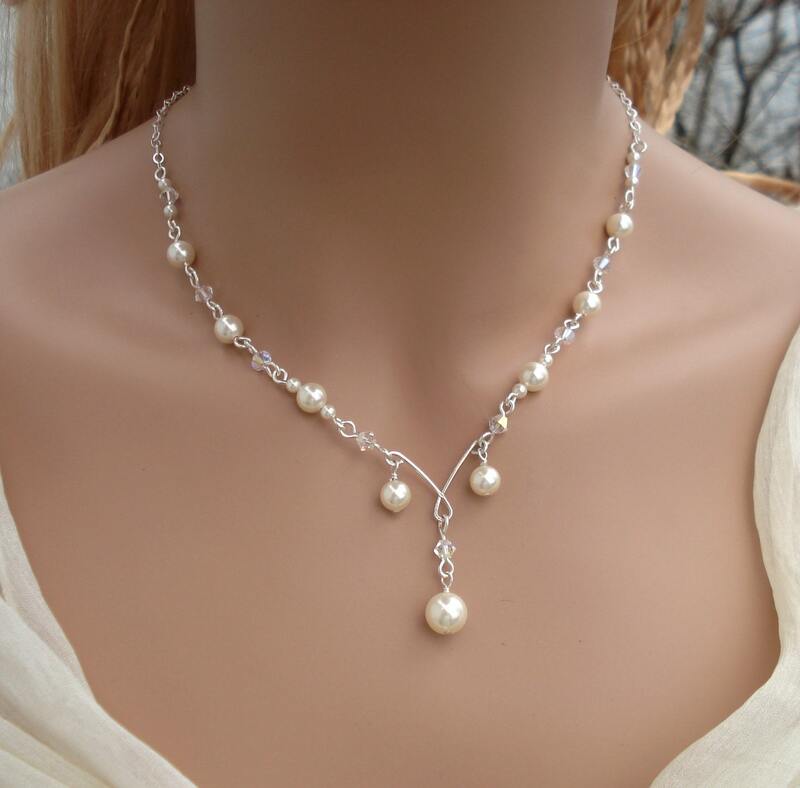 The necklace is finished with sterling silver chain between pearls and finished with a sterling silver lobster clasp. 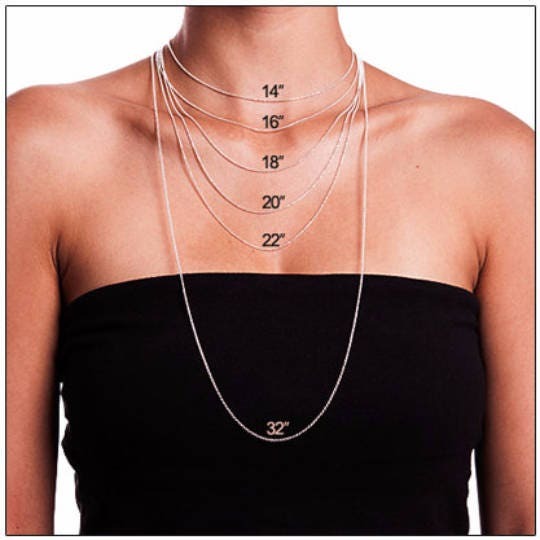 ~~Necklace measures 17.5 inch plus 2.5 inch extender. If you like to have longer chain, just email me with your desired length. 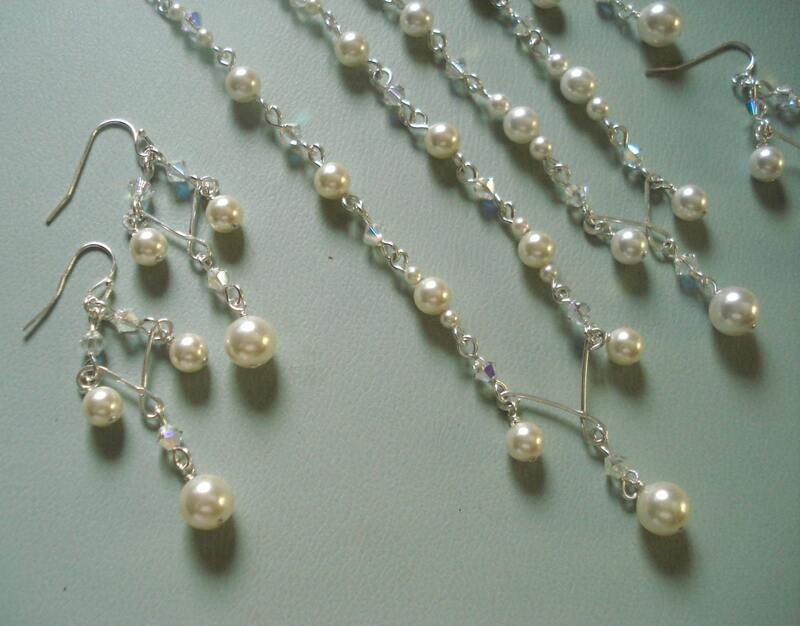 ~~These beautiful earrings are made to compliment the necklace and are made with cream color Swarovski pearls and crystals which dangle 1-1/2 inch from .925 sterling silver french earwires. All the components are sterling silver. 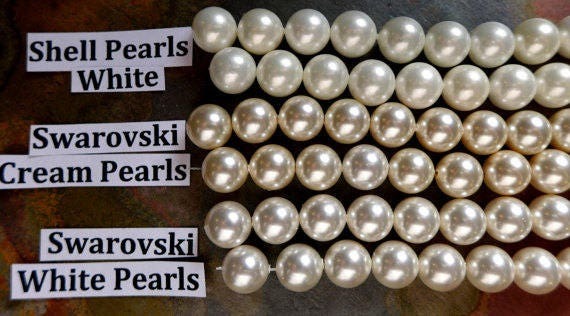 ~~The last photo shown the difference in color between white & ivory/cream pearls. 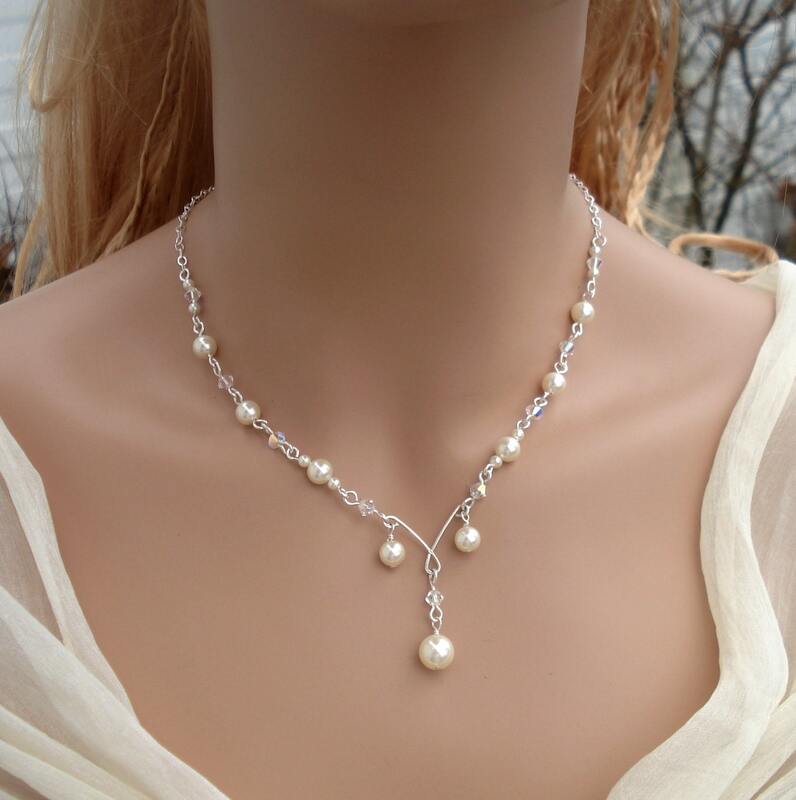 Available in other Swarovski pearl colors. Please email me. 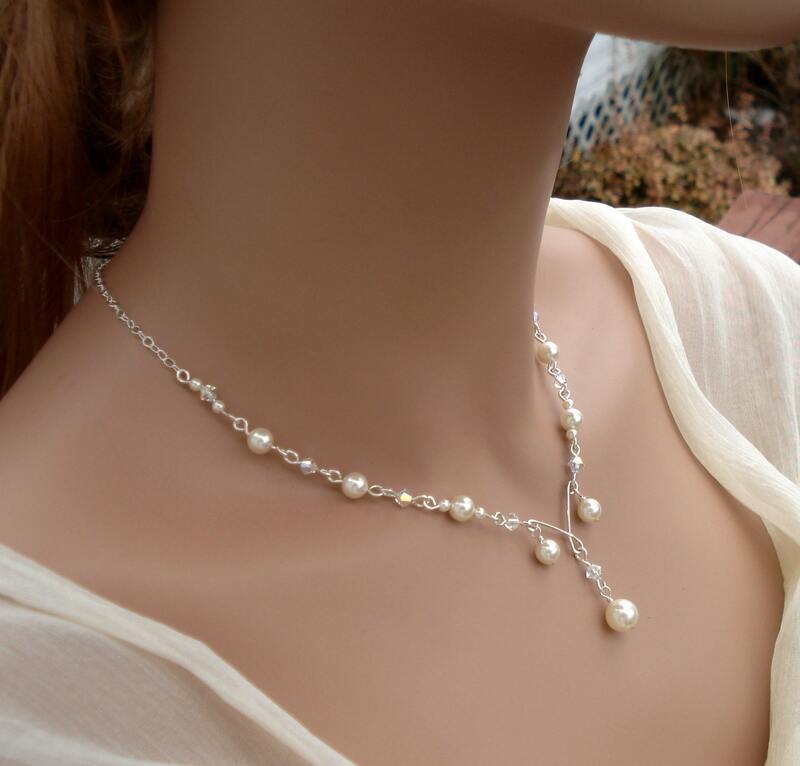 This is lovely, especially with the matching earrings, I will enjoy wearing them for my wedding in July. I was disappointed in the quality. It looks cheap. Would be ok for a regular day, but not really suitable for my wedding day. Very sad. Arrived very quickly though.